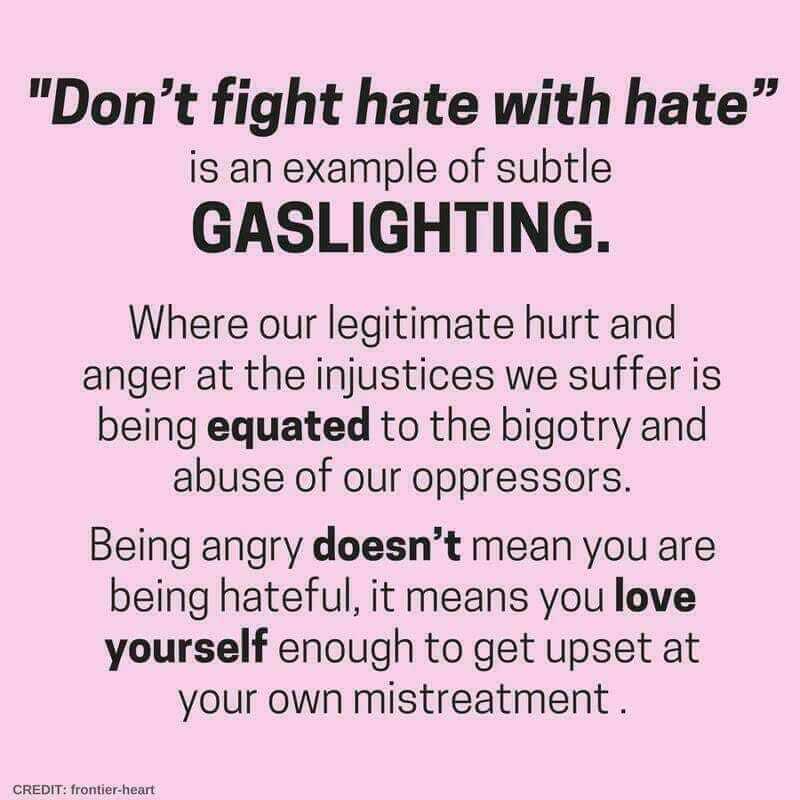 You have a right to be angry at people who are hateful to you. You do not have to engage with haters. You have a right to make fun of hypocrisy and people who you think are doing the wrong thing. You need some comic relief. But it defeats your purpose to do this publicly. Keep your disrespectful humor within your like-minded networks. “Fake news” rhetoric is both propaganda and gaslighting. The current administration frequently says that events did not happen, even when reputable news sources say that they did. The lie being told to America is that people who believe things reported in major newspapers are out of touch with reality. Just as people who read the New York Times believe what they read, people who watch Fox News believe what they’ve been watching. Calling their news “fake news” and calling them out of touch with reality will get you nowhere. 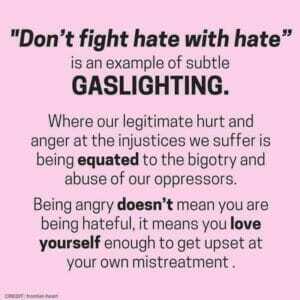 Gaslighting refers to denying another person’s reality. It comes from a movie about a gigolo who is trying to steal from an aging actress. He was kind and doting. At the same time, he was going through all of her things looking for her valuable jewelry. When she suspected that someone is in the house when he not there, he convinces her that it is not true and encourages her to believe she is losing her mind. In fact, he was leaving, then going into the attic to search her things. The gaslight dimmed when he turned on the attic light, thus the movie title and the term. 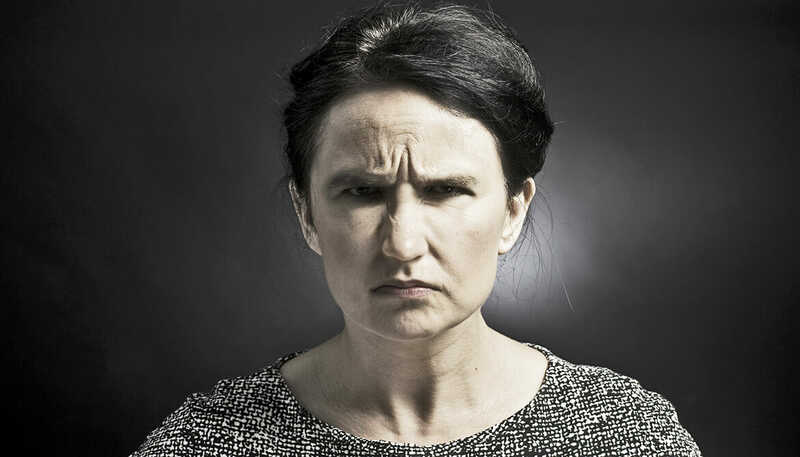 According to Psychology Today gaslighting involves tactics that warp someone’s sense of reality to the point where they doubt their own memory of events they experienced. It is more psychologically dangerous and is often associated with abuse in personal relationships. That may be so, AND. Standing for a social value does not mean I hate (fill in the blank). I object to (fill in the blank) social or economic structure.